LG UltraFine 5K Display Review: Is it a perfect Cinema Display replacement? Apple and LG worked closely on the new UltraFine 5K display, but is it any good? 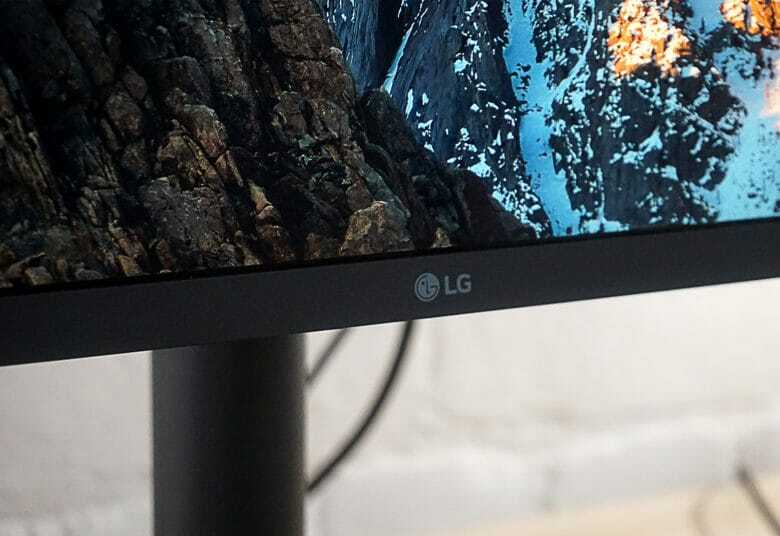 Now that the LG UltraFine 5K Display’s weird Wi-Fi problem has been fixed, one question remains: Is the monitor a worthy Cinema Display replacement? Check out our video and full review below to find out. 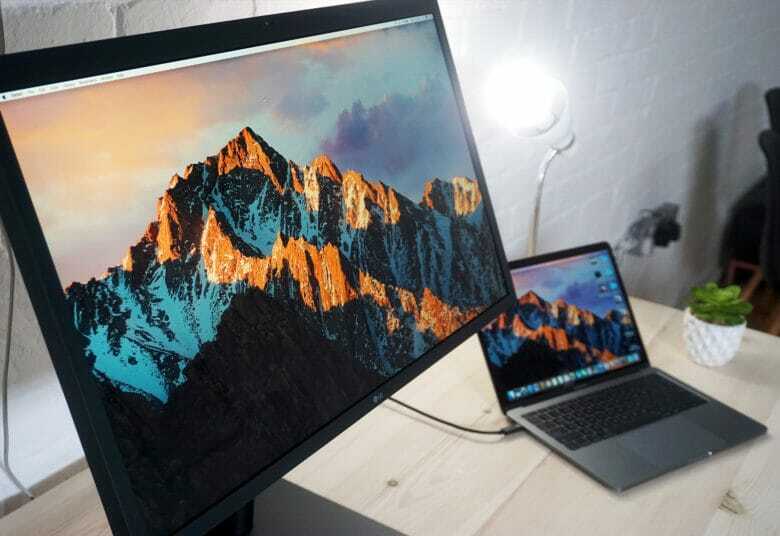 Apple introduced the monitor in December alongside the new MacBook Pro with Touch Bar as a replacement for the refreshed Cinema Display many fans had been waiting for. LG should have invested a little more time in the monitor’s design. Customers will either love it or hate it, as there’s no Apple styling to complement a MacBook Pro. 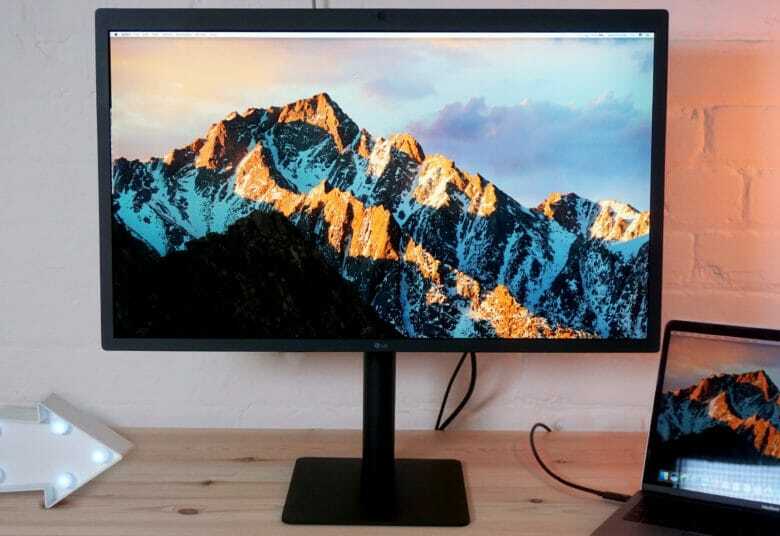 However, just like the Cinema Display, the LG UltraFine monitor doesn’t have a single button or switch — it will simply turn itself on as soon as it’s connected to a computer. It’s a shame that apart from the sturdy, metal foot, the UltraFine 5K monitor is made mostly of plastic — especially considering the $1,300 price tag. The LG UltraFine 5K monitor was clearly made for the MacBook Pro, though its design language differs from Apple’s. On the plus side, the display itself is great, with 218 pixels per inch and a 60Hz refresh rate. The blacks look deep and colors come out rich and vibrant. Thanks to the P3 wide-color gamut, colors also benefit from extremely accurate reproduction. The picture is crystal clear. When I’m watching 5K videos (or even 4K), I feel like I’m looking through a window. Underneath the bottom bezel, you’ll find the speakers and grille. Thankfully, the speakers sound great, considering most of us won’t have much money left over for add-ons after picking up one of these pricey monitors. The speaker output sounds very similar to the 5K iMac. On the back, you’ll find three USB-C ports for connecting peripherals, plus a single Thunderbolt 3 port. I can plug in my MacBook Pro to these two ports to transfer video to the display, and also power the monitor. This neat touch eliminates one more cable from my desk. The only downside of having those USB-C ports is if you own an older Mac. For example, my primary machine is a late-2013 MacBook Pro. Even though it’s a beast of a computer, it can only output 4K (and that’s after spending $73 on USB-C adapters). Also, I can’t use the accurate P3-color gamut, so I’m left with sRGB — which basically means the monitor looks a little duller compared to when it’s connected to the MacBook Pro. Bottom line: If you’ve got the 2016 MacBook Pro and need a larger display to connect it to, this is the monitor for you. If you’ve got an older Mac, take a look at the smaller 21.5-inch 4K version, since you won’t be able to use the 5K display to its full potential. Have you tried out this monitor? Are you tempted by it? Leave your comments below, and remember to like, share and subscribe to our YouTube channel to see more videos like this one. LG provided Cult of Mac with a review unit for this article. See Cult of Mac’s reviews policy; and check out more stuff we recommend in our Best List reviews.